Another Milwaukee guy here. Currently finishing up my CB360, and starting on my Hawk pretty soon. Also heading up to Vintage Motorcycle Classic at Road America this weekend. Cascade WI. Working on my CB750SC cafe at the moment. I'm from the Milwaukee area. I have a 75 cb550 that I have been working on. Got about 3000miles out of her since the middle of August. Needs a little bit here and there, but when are they ever done right? Another Milwaukee rider checking in. New to the area and bikes, working on a GS450. T H E S E A H A T E S Y O U ! Hey guys, from Appleton, Wi. I notice this hasn't been posted in a while but I would like to get out in the wind or in the shop with any of you guys in my area sometime. 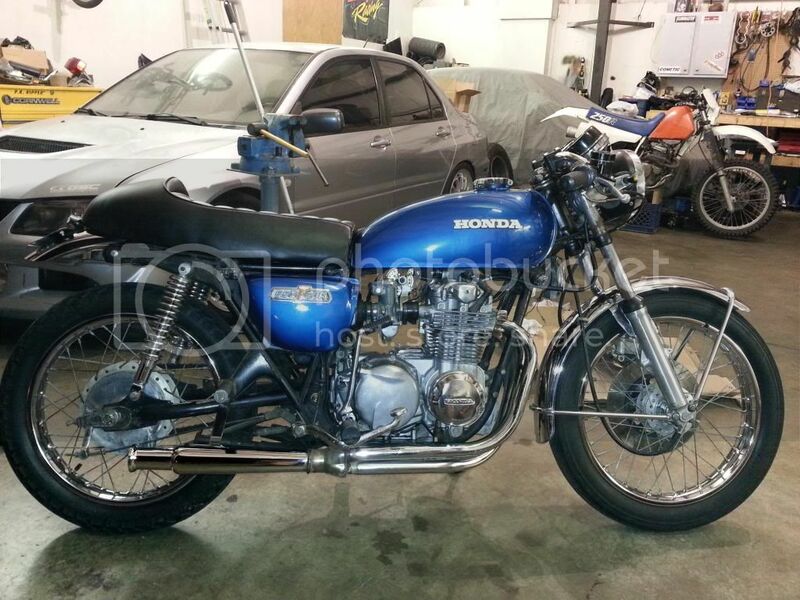 I have a 72 cb350 gone cafe/brat that I am working on. Let me know if any of you guys are down sometime to get out there. I don't want to sound like a jerk, (but here it comes) but you post this in September? I'm not sure any of my bikes will see the streets again in 2014, it's cold up here! !